Alright everyone knows my absolute love of pasta. It’s no secret that if there was one food I had to eat for the rest of my life I’d pick pasta. 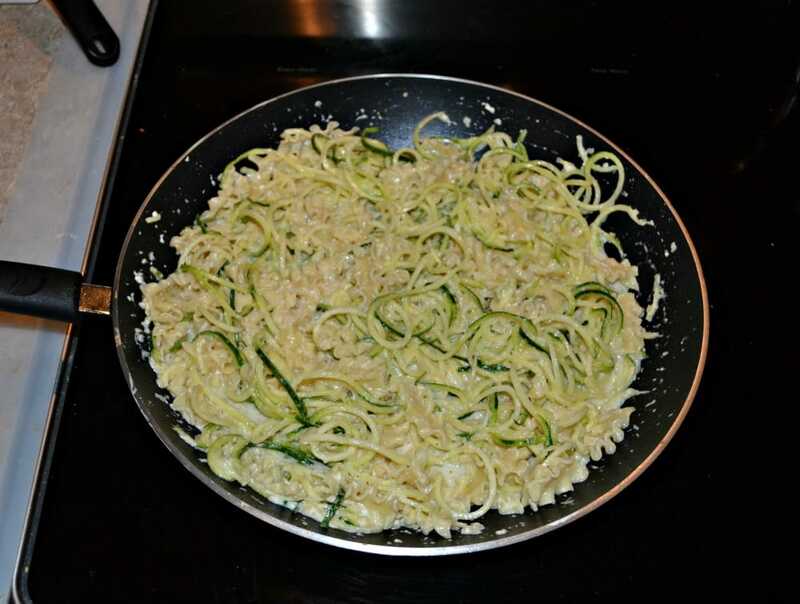 I love it even though I’ve been cutting carbs by substituting half my pasta out for zoodles. I’ll be honest, it’s just as good, I still get my pasta fix, and it’s half the carbs and calories. Do you know what my second favorite savory food is? I think a lot of people can probably guess. It’s chicken. Chicken has always been one of my favorite meats and it’s something I’ve eaten at least once a week for my entire life. There’s just so many different ways you can cook it. So one of my favorite combinations for dinner is chicken and pasta together. I’ve made a lot of dishes where I take grilled chicken or sauteed chicken and put them together with vegetables and pasta. Of course I’ve made chicken parmesan as well (which is one of my favorites). This is a new dish. 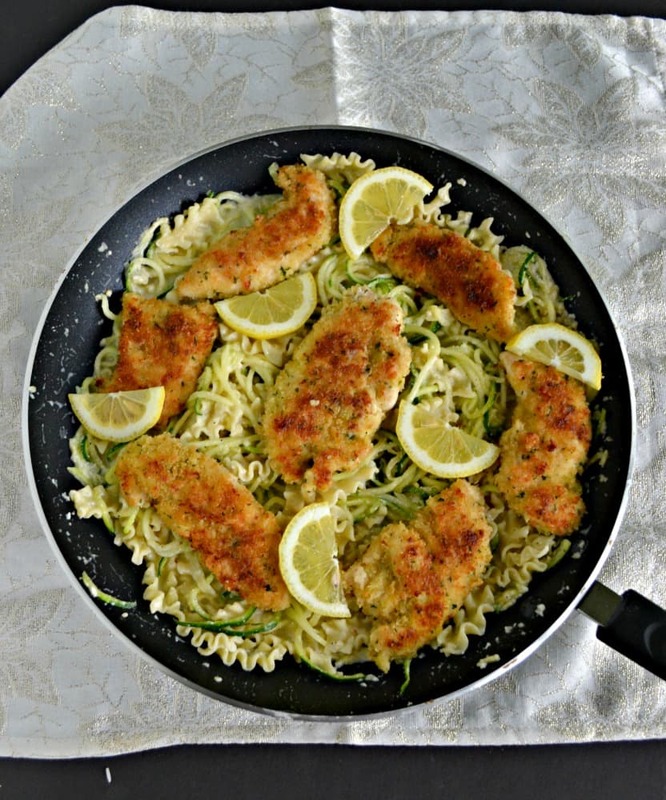 It’s a crispy Parmesan chicken served over top of pasta and zoodles is a bright lemon sauce. I knew I was going to like it but I didn’t expect to love it so much. The chicken stays crispy because it is placed in the pasta at the very end. 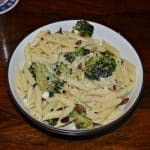 The sauce is light and lemony with hints of Parmesan and garlic. It’s really refreshing especially with half of the pasta being swapped out for zoodles. 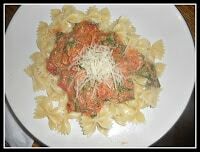 I’m so used to pasta dishes being heavy but this one is pretty light but still totally filling. I liked this dish so much that I’m going to put it in our normal rotation. I don’t often put new dishes into our monthly rotation but I’m totally sold on this one! 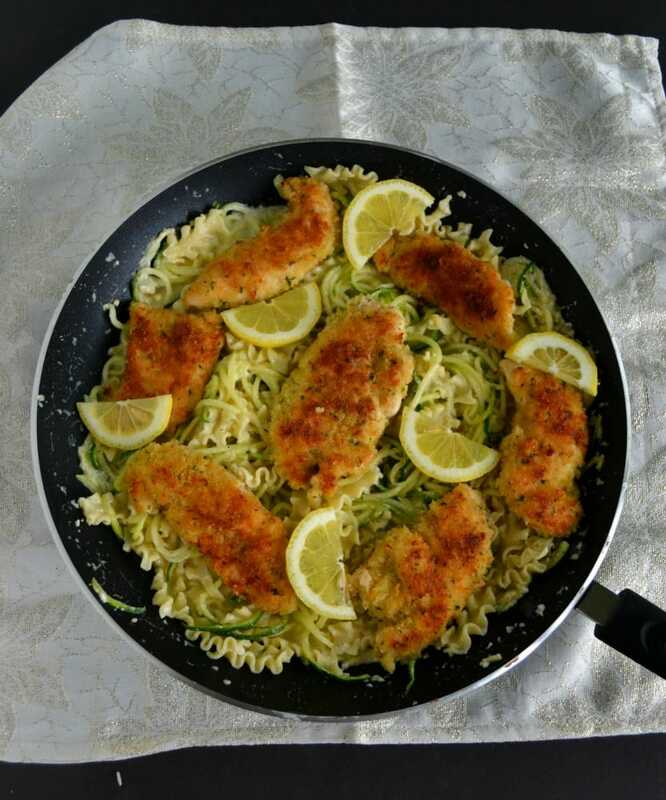 Crispy Parmesan Chicken on top of pasta and zoodles in a light and creamy lemon sauce. Beat the egg in a shallow dish. In a second dish combine the Panko, Parmesan, and flour. Dip the chicken tenders in the egg and then roll in the breadcrumb mixture. Place in the skillet with the melted butter. Cook the chicken for 4-5 minutes per side or until the chicken has browned and is cooked through. Remove from pan. Meanwhile, cook the pasta according to the package directions. Drain and keep warm. 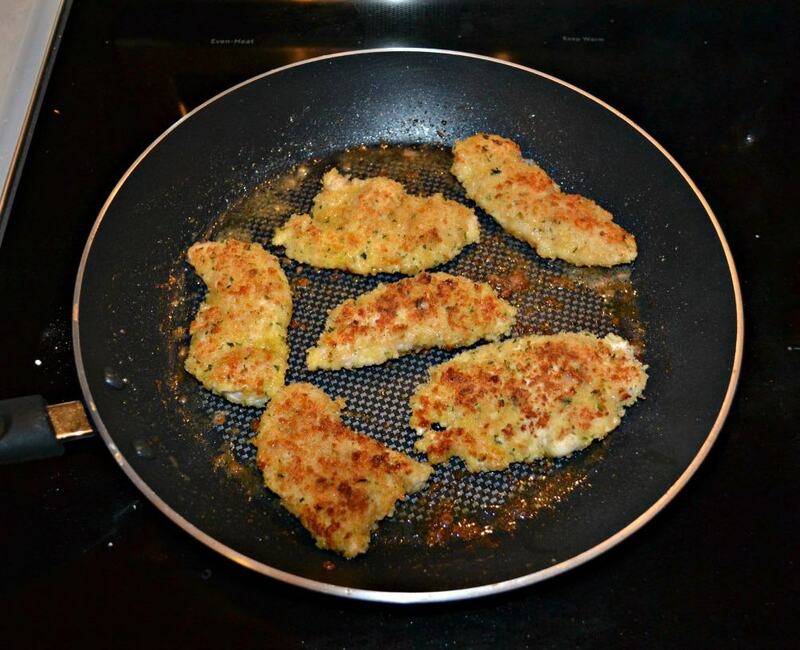 Add the milk, Parmesan cheese, lemon juice, garlic cloves, salt, and pepper to the skillet that held the chicken. Whisk together and cook over medium heat until the sauce begins to thicken. 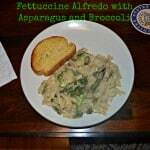 Add in the pasta and zoodles and cook for 1-2 additional minutes or until everything is hot. 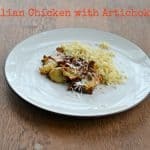 Place the chicken on top of the pasta and zoodles and serve.